How True Does A True Story Need To Be? Do you know if there are any copyright laws or what-have-you regarding true stories one would read on the internet, or maybe have told to them? “Based on a true story” can be problematic… but only largely cos 9/10 it’s not really true. Take the movie Wolf Creek for instance. What was that based on? The Peter Falconio case *maybe*… But it felt like a tenuous link really, more in a “murder in the outback” kind of way (and “murder in a remote place/forest/desert/etc has long been a staple of the genre anyway). The “based on a true story” tag here seemed quite exploitative to me and made me feel rather uncomfortable, especially when writer-director Greg McLean admits to writing the script BEFORE even hearing about the case. However, the “true story” tag can get bums on seats in a marketing-sense for sure, especially the ghouls when it comes to horror, so it’s not hard to see WHY this claim is used, over and over again. I heard Peter Broughan of Flying Scotsman Films speak at a workshop, a good while back. 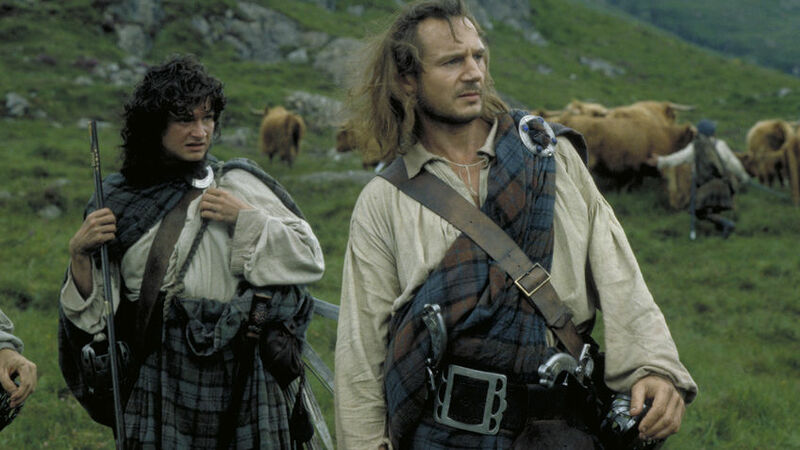 Broughan’s company, Flying Scotsman Films made Rob Roy, a biopic of a Scottish folk Hero also known as “The Scottish Robin Hood”. Peter was of the opinion a good biopic of an historical figure “told lies to tell the truth”. Having now read many, many historical adaptations as specs and for prodcos, I’m inclined to agree with him. It really does seem sacrificing facts for drama is vital here. The one exception here is DON’T lift entire chunks from published biographies of said historical figures, as the authors *may* have a case for plagiarism. It starts to get muddied however when we’re talking about people living now or in “near history”. To write a film or TV drama then about such a person, it seems good practice to ask for the participation of the person you’re representing IN the story (or their family if they’re dead). 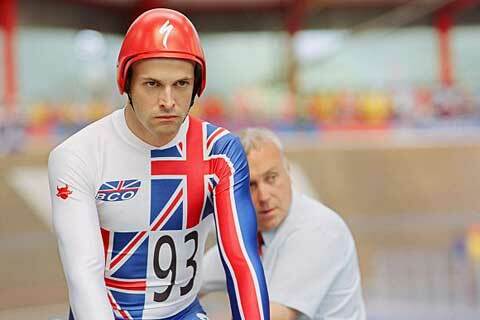 Brougham can also offer his POV here, as he also produced the movie of the life of Graeme Obree, an Olympic Cyclist known as “The Flying Scotsman”. He says he had Obree very much on side in telling his story and this helped the production a great deal. I don’t know if Obree could have blocked the adaptation of his life altogether if he’d wanted to, but it seems very much worth getting people “on-side” if you’re going to tackle “near history”. There are of course exceptions to the above and one obvious one is the “True Crime” movie. I’m no expert, but it seems to me as if “True Crime” movies rely on the VERDICT of the courts – *if* a person is found guilty, then that is the story which is told (we would of course never be able to film a story that is sub judice or is libellous against someone). If we consider the Meredith Kercher case then, there is apparently a movie coming out that neither Meredith Kercher’s parents nor Amanda Knox et al are happy about. Apparently some scenes have been cut, including some graphic scenes of Meredith’s death. Even so, I would imagine it’s unlikely either family will be able to block the release of the movie altogether. Amanda Knox was found guilty, so the movie is so-called “fair game” even if we find it in poor taste. But last of all, what does “based on a true story” really mean? It seems to me that ALL writing is based on a true story in some way – whether it’s based on our own experiences or someone else’s. 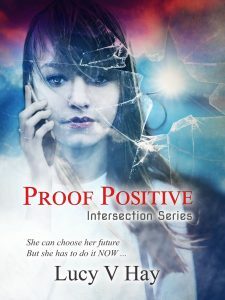 An example: my own novel, Proof Positive, is about teen pregnancy and I was a teen mother. and of course a lot of my own thoughts, feelings and events that happened to me will go into the novel. But it’s NOT an autobiography. In fact, there are many, many things in it that NEVER happened. Yet it’s still based on a true story – mine! I met these people while living through it. Plus I obviously did lots of research and spoke to more during the writing of the book. Personally I think it’s important as writers we melt our experiences together with others’. This way, we create something that will appeal not just to ourselves, but everyone in our specific target audience. So really, adapting a true story you’ve simply experienced, heard or read about needn’t be a legal issue at all. You can take the situation, but change everything else, such as characters’ names, genders, ages, etc… Suddenly you’re home free. But then you have a new problem, a moral issue! Will those people you know recognise themselves in your work? Will they be upset? Do you care? Of course, as you develop your work, you may find the story takes its own twists and turns, away from that true story… and then you have no problem whatsoever! So, lifting people’s true stories from their own lives, the newspaper, the web or wherever should be okay … AS LONG AS the names aren’t the same in the very least. You probably want to mix various people, experiences etc up together, too though. In the case of historical figures, everything *should* be fine … Just do check for published biographies etc. You don’t want to tread on any toes there cos that *can* be a minefield. Plus always try and involve the person you’re writing about or at least their families when dealing with “near history”. 7 Responses to How True Does A True Story Need To Be? They say writing is editing, so by the time you've cut out the boring stuff, enhanced the facts, the result is nowhere near the truth the idea was built on. Writing anything based on a living person’s life is a legal minefield. Especially if the story is less than complimentary: you could end up being the defendant in an expensive libel case. And there’s also confidentiality laws to consider, and the Human Rights Act’s protection of privacy which has to be considered. So those considering writing a true story, or a ‘based on a true story’ should find these recordings useful. It’s a panel talk and Q&A about the legal aspects of writing true stories. Two provisos: it’s from 2008, so the law will have changed – especially as the privacy clause of the Human Rights Act is getting more attention in courts, and libel laws have been reformed. Second: the discussion will focus on UK intellectual property law. If you’re legally safe in the UK, doesn’t mean you’re safe elsewhere in the world. So, as always when it comes to legal matters, I strongly recommend people get professional advice from a specialist solicitor or barrister. If you can’t afford an intellectual property lawyer, try the unions – Directors UK, BECTU and Equity may be able to help, while The Writers Guild will give legal advice to members (including associates). You can also try contacting Own-it – the organisation which made these recordings – for free and low-cost advice. If you absolutely must make a true story about a person, make it about a dead person. They can’t sue you for libel. However, their descendants and family can sue, if the story you tell harms their reputation. If you want to do a true story about a person, get them – or their estate – to give you permission to make the film. You’re best off getting a lawyer to draft this agreement, to ensure your backside is protected. This will still be a a big investment of time and energy, but far less than making a film you can’t show anyone, due to being involved in a lengthy and expensive court case. For an accessible run-down on the current media law – including defamation, confidentiality and privacy – get a copy of McKae’s Essential Law for Journalists. It’s the media law bible for non-lawyers. Also, Directing the Documentary by Rabinger, Theorizing Documentary, and Claiming the Real, are worth reading for those interested in doing a true story. I have got the life rights for a ‘true story’. Am I covered? Also what about factual stuff that is in the public domain? If you mean “Am I protected from libel claims?” No. But you may be able to use defences to libel – such as qualified privilege and “truth” – if you’ve got permission from a person or their estate to do their life story, and make claims which you can prove are factual. But again, you should speak to a lawyer about this.